This innovative tool makes it easy to accurately locate and center any die on your press (scroll this page down to see an example press, or click here). The V-Block mounts on the back of the die shoe and guides it left to right, and front to back around a pin (1-inch diameter) that's installed in the bolster. The stop block rests on the other side of the die and helps square it evenly on the press. 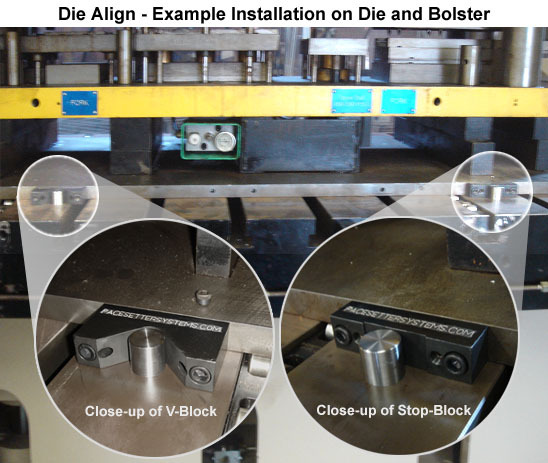 Die-Align is designed to align a die of any size. Totally eliminates manual alignment when used with the Power Pallet.